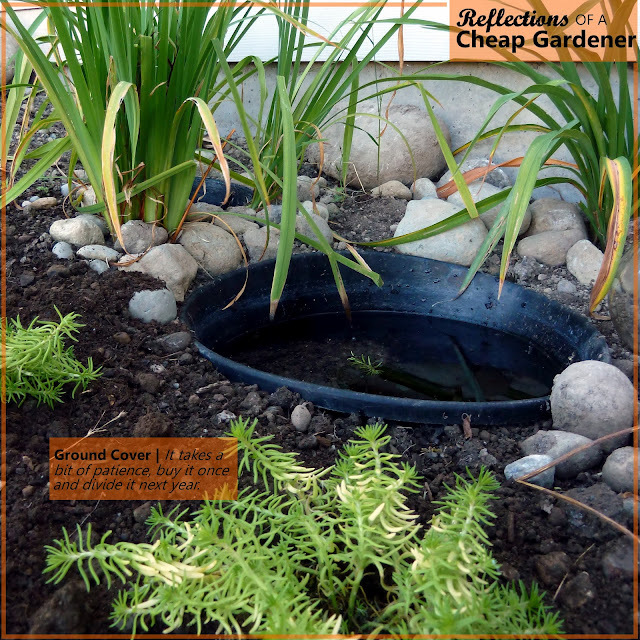 Groundcovers come in 6 packs for like less than $4. and then split them up again next year once they really get settled in. i too am a cheap gardener! currently contemplating digging up some neat rocks that form a little walkway and putting down some groundcover then the rocks back around....or just pea gravel. oh decisions!